Tehran signed contracts worth $21 billion with Moscow for the purchase of satellite-related equipment, as well as Sukhoi Superjet 100 (SSJ-100) aircraft, at the MAKS-2015 international air show, the managing director of Iran Aviation Industries Organization (IAIO) told Sputnik Saturday. 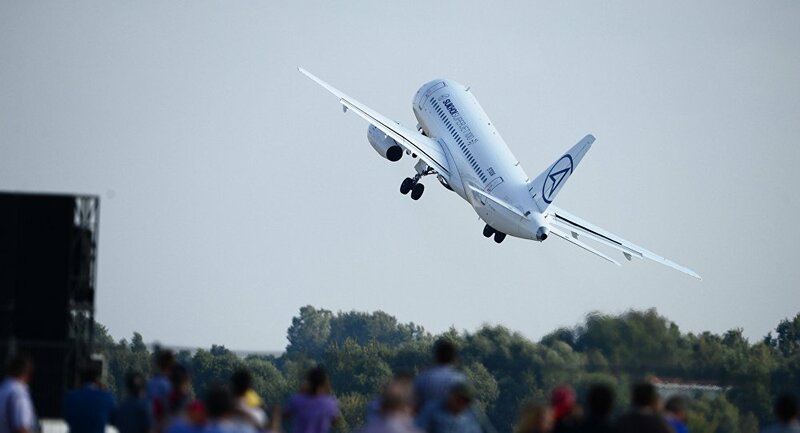 TEHRAN (Sputnik) — The Iranian delegation visited the MAKS-2015 air show held in the Russian city of Zhukovsky in the Moscow Region between August 25 and August 30. "There is a large share of contracts for the purchase of this type of aircraft," Manouchehr Manteghi stated, not specifying, however, the exact number of jets. In late August, Iranian Vice President Sorena Sattari told the Russian Kommersant daily that the country was holding active talks with Russia on the purchase of at least two types of military aircraft. Tehran was also interested in using Russian rocket carriers to launch satellites into orbit, according to Sattari. The Superjet 100 is a twin-engine regional passenger jet, which became commercially available in 2011.